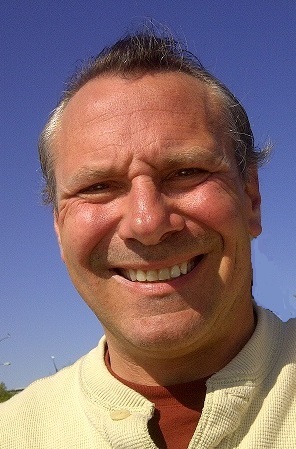 NAPERVILLE, IL—Kevin Pokrywka, age 56, passed away at his home on Thursday, January 24, 2019. Kevin was born on February 16, 1962, in Chicago IL, the son of August and Dorothy Pokrywka. Kevin grew up in River Grove, IL, and graduated from East Leyden High School. He resided in Lombard, IL, for many years and moved to Naperville several years ago. He is survived by his mother, Dorothy Pokrywka; his daughter, Elise and her daughter, Callie; his son, Ryan (fiancé Eileen); his girlfriend, Kim LaMotta; his sister, Mary Ann Bukowski (Andre); his niece, Brooke (Sean) Cooper; his nephews, Nick (Yuri) and Phillip; his brother, Sam Pokrywka; and many dear friends. Mass of Christian Burial will be held at St. Mary Help of Christians Catholic Church in Briggsville, WI, on Saturday, January 26, 2019, at 11:00 a.m., with Fr. Gary Krahenbuhl presiding. Burial will follow at St. Mary Cemetery in Briggsville. Visitation will be at the church from 10:00 a.m. until the time of service. The family would like to thank all of Kevin’s friends for their prayers and support, the staff at St. Mary Church and the help of Pflanz Mantey Mendrala Funeral Homes for their help, support and direction. In lieu of flowers, memorials may be made to Naperville Area Humane Society or Alzheimer’s Association. 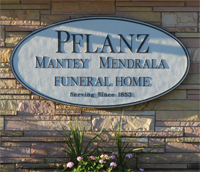 The Pflanz Mendrala Funeral Home in Portage is assisting the family.